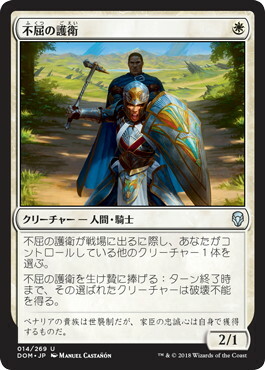 Oracle As Dauntless Bodyguard enters the battlefield, choose another creature you control. 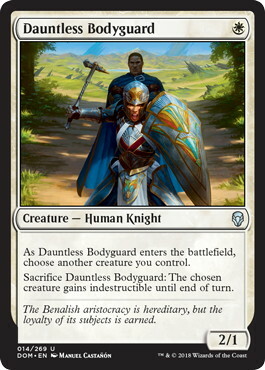 Sacrifice Dauntless Bodyguard: The chosen creature gains indestructible until end of turn. Flavor Text The Benalish aristocracy is hereditary, but the loyalty of its subjects is earned.